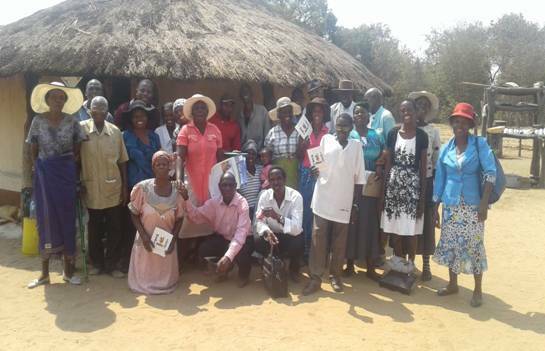 In a bid to improve leadership accountability and good governance, Heal Zimbabwe held Social Accountability training in Tsholotsho, Matabeleland South to train 25 duty bearers which included traditional leaders, village health workers and School Development Committee (SDC) members. Heal Zimbabwe is a civic society organization working with communities in peace building and conflict resolution, community cohesion building among others. The Research and Policy Advocacy Officer Edknowledge Mandikwaza revealed that the training program aimed at enhancing community leaders’ knowledge on accountability. “The training was meant to increase the relationship between duty bearers and citizens. Out of the training it was notable that there is little knowledge among community leaders about their duties and responsibilities particularly on social accountability mechanisms,” said Mandikwaza. Heal Zimbabwe described the trainings as part of the organisation’s initiative to enhance social service delivery, transparency and accountability. The issues that dominated the training workshop included community exclusion in key decision making processes thereby hindering effective participation and respect of human rights concerning partisan allocation of developmental projects which result in lack of trust and conflicts. “While the constitution is explicit on constitutional roles of Traditional leaders (Section 281 (2)b) that help establish accountable practices, such as not acting in a partisan manner, political interference remains a serious problem,” said one Traditional leader. Access to education and medical support was also identified as a problematic area with the prevailing economic situation. “Most schools in Tsholotsho still bar children from attending lessons due to non-payment of school fees, even the school fees payment plan for most parents are too steep given the current economic situation. At the local clinic, there is no medication as the clinic authorities do not even inform the community on problems affecting the smooth operation of the clinic,” said one School Development Committee member. Heal Zimbabwe said it was going to continue conducting forums for interface meetings where duty bearers and community members dialogue and discuss on pertinent issues affecting their communities.